I wouldn’t advise trying to take in all of Kauai in three days but I still get requests for 3 day itineraries–usually from folks splitting their time between multiple islands. With this strategy, you are best finding housing along the east coast between Lihue and Kapaa. If you need a suggestion on a place to stay, try the Kauai Marriott. It’s close to the airport and centrally located. It’s right on Nawiliwili bay and close to Duke’s canoe club in case you need a fix of hula pie. It really doesn’t matter what order you attack each region but note that the lighthouse is closed on Sunday and Monday so you may have to adjust your itinerary accordingly. 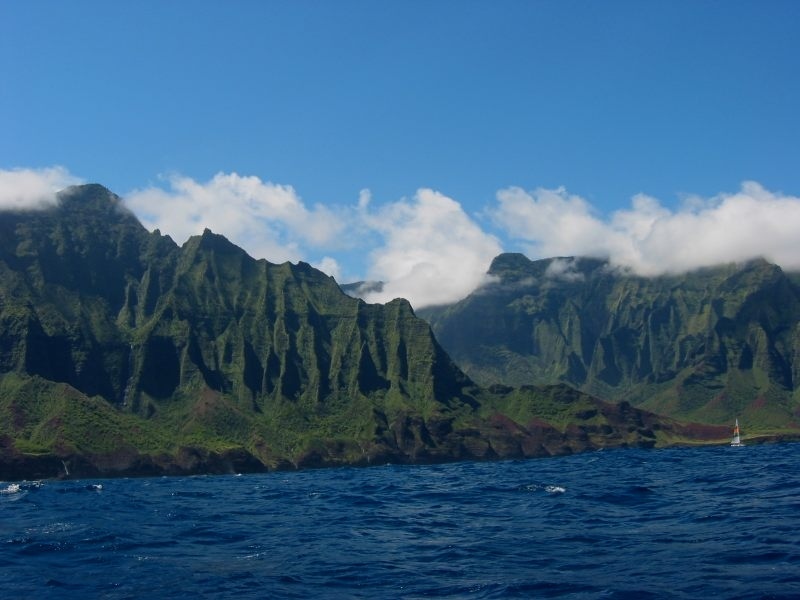 Also your top priority should be to see the NaPali coast as no other island has anything like it. 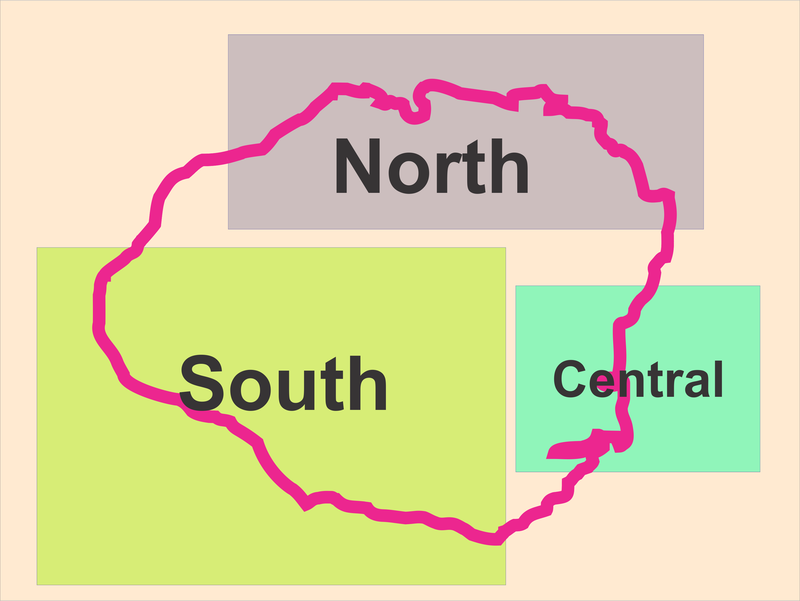 You may want to plan on doing the south region first to see the NaPali coast, just in case there are any cancellations with your boat or helicopter ride due to bad weather. You will have two more days to go if needed. 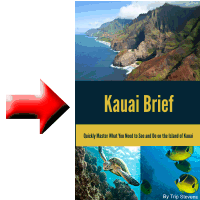 Understand that to visit Kauai, you need to rent a car. You might be tempted to scrimp on car rental companies. The cheaper your rental, the longer your wait at the rental car company will be. Their employees are in no hurry to get you out of their long lines and off to see the island. I have waited over an hour at these places but don’t any more. Go with Hertz or Avis if you can afford it. Once you collect your luggage and get your car, stop for groceries at Walmart (3300 Kuhio Hwy in Lihue) or Costco (4300 Nuhou St also in Lihue). The Walmart is slightly closer to the airport. Groceries are not cheap on the island and this is your best bet for lowest cost groceries. Once you have your load of goodies for the next 3 days, you are off on your adventure. Napali coast. Each Hawaiian island is unique and has something to offer that the others do not. On Kauai, that one killer feature is the NaPali coast. You should make it your top priority to take it in. To really appreciate the NaPali coast, you need to do it from a distance. You have two options: by boat or by helicopter. The boat option is cheaper but can only be done during the summer months. We attempted it once in March and had to turn back. The tour company still kept our money so do a little homework if going by boat to make sure you make it all the way up to the coast. Most boat tours leave from Port Allen. Your second option, helicopter, is more expensive but you usually get a tour of the entire island. I have seen the NaPali coast both ways and it is fantastic either way. If someone in your party is prone to seasickness, you might want to do the helicopter ride as they usually run just an hour or two. The boat ride is usually half a day as you spend a lot of time just getting to the coast from the port. Most helicopter tours leave from the airport and most of them require booking many days in advance. Frolic at Poipu beach. 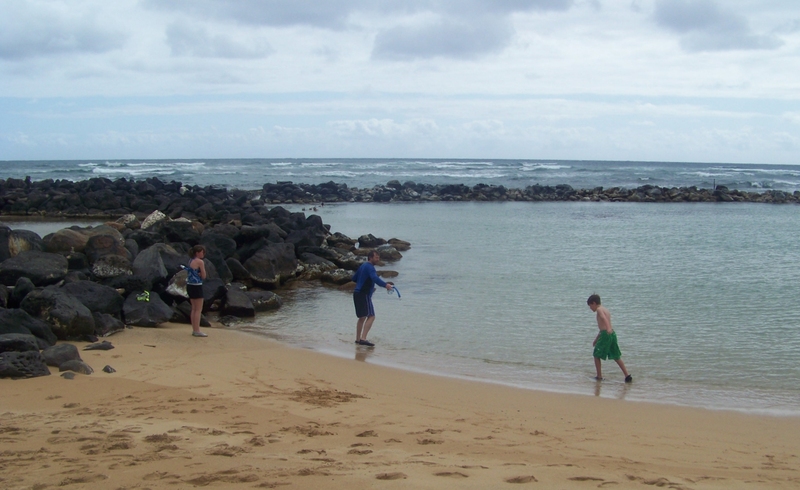 Poipu is a fun beach frequented by both locals and visitors. It is a great beach for snorkeling but you can also just lounge if that is your thing. 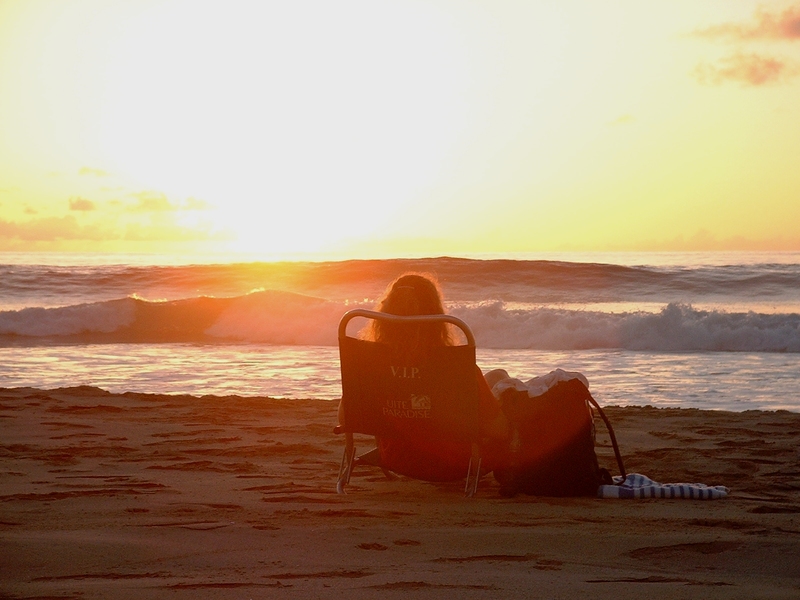 It is also a great place to watch the sunset if you don’t take my advice (see below) to watch a sunset at Polihale beach. While in that area, you should also spend a little time in Old Koloa town shopping for souvenirs. It’s a fun stop. Shop the stores of Waimea. While taking in the south end of the island, you will probably drive through Waimea a few times. Waimea rocks! Be sure and spend a little time there. You can grab a quick lunch at the Shrimp Station (9652 Kaumualii Highway) or some shave ice at JoJos (9734 Kaumualii Highway). There are all kinds of shops along Kaumualii highway where you can pick up more Hawaii memorabilia. While we are talking about shopping, you should stop at the red dirt shirt store in Eleele (4350 Waialo road) on your way to Waimea. There are all kinds of red dirt shirt knock-offs but the original red dirt shirt started in Kauai. Get the real thing. End your day at Polihale beach. Polihale beach is one of those hidden gems in Hawaii. 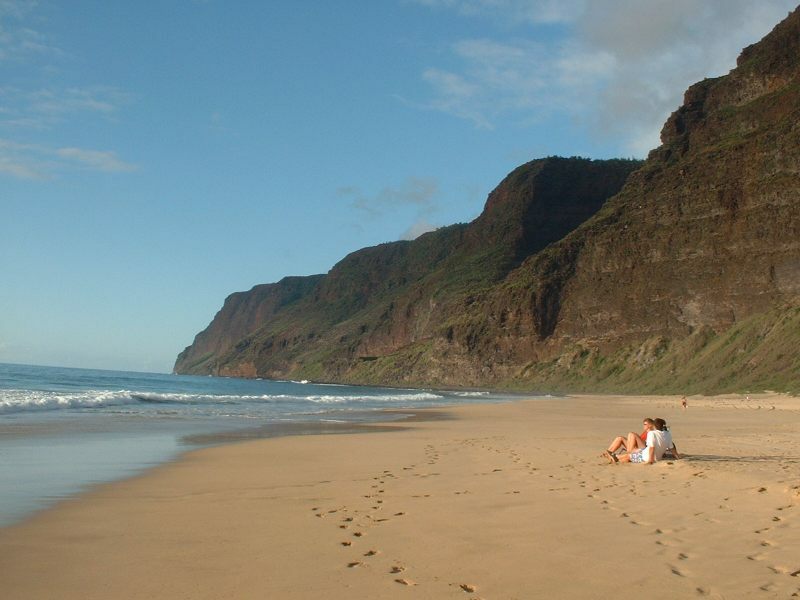 It may be one of the most secluded beaches in Kauai. Because it is at the end of the road (literally at the end of highway 50) and takes some time to get to, there aren’t many people there. Because it is so long (seven miles), you can always find a stretch of the beach for yourself. If you go as far as the dirt road goes, you can catch a glimpse of the south end of the NaPali coast. Polihale is not the best beach for swimming. It usually hosts strong currents. For an awesome, secluded beach with killer unobstructed tropical sunsets, Polihale beach is my favorite. 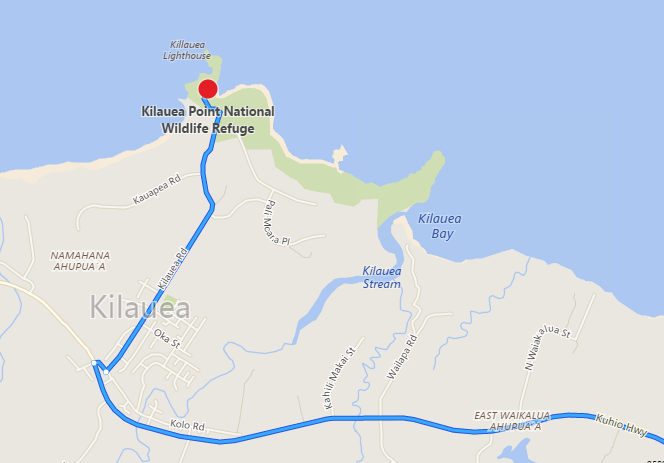 The Kilauea Lighthouse and Wildlife refuge (closed Sunday and Monday). The lighthouse itself is great to visit with great views of the ocean and sometimes a whale. Folks come to the lighthouse to watch the humpback whales migrate. There is also quite a variety of birds for you birdwatchers. If you are a photographer, you will have plenty of photo opportunities of the lighthouse, the visitors, the ocean, and all the wildlife all around. 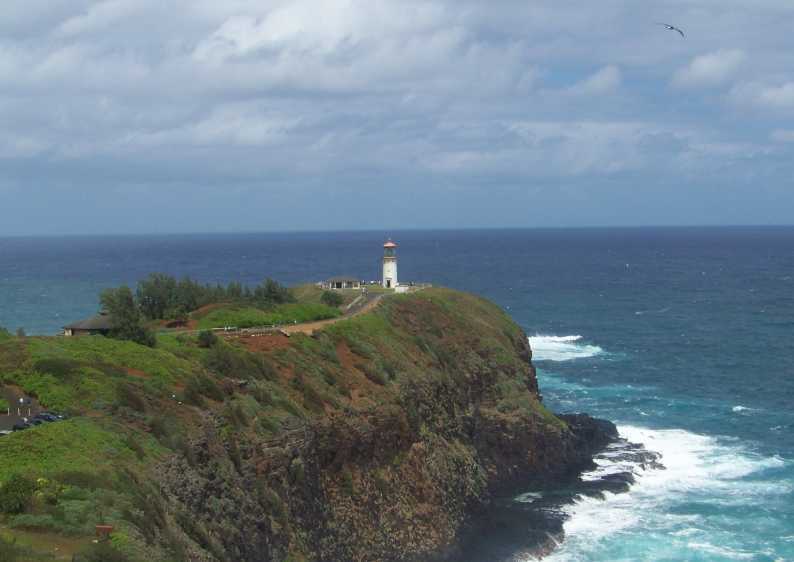 The Kilauea lighthouse is about 25 minutes away from Lihue. The entrance fee is $5 per person. 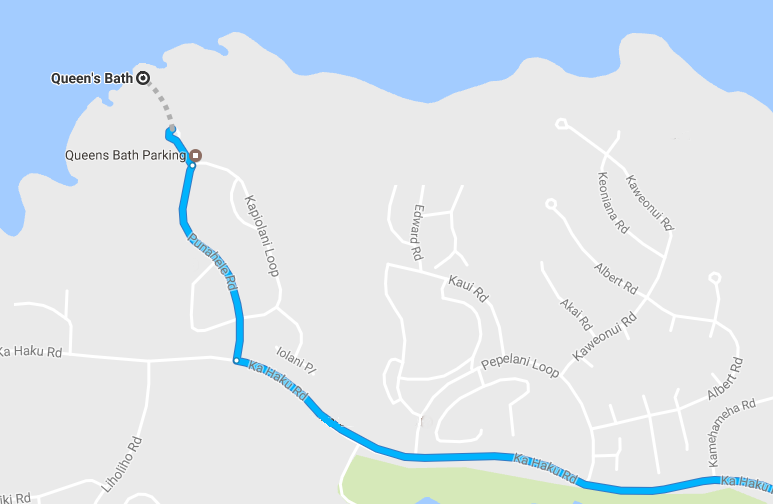 To get to the lighthouse from your location in Lihue or Kapaa, head North on highway 56 and turn right onto Kolo road and the right again onto Kilauea road. You will find your destination at the end of the road. The town of Kilauea is about 23 minutes away from Lihue. Queens bath. Queen’s Bath is one of the more popular places to visit near Princeville. It is a larger than normal, deeper than normal tide pool situated right next to the crashing ocean waves. You can swim in this natural pool with fish from the ocean. 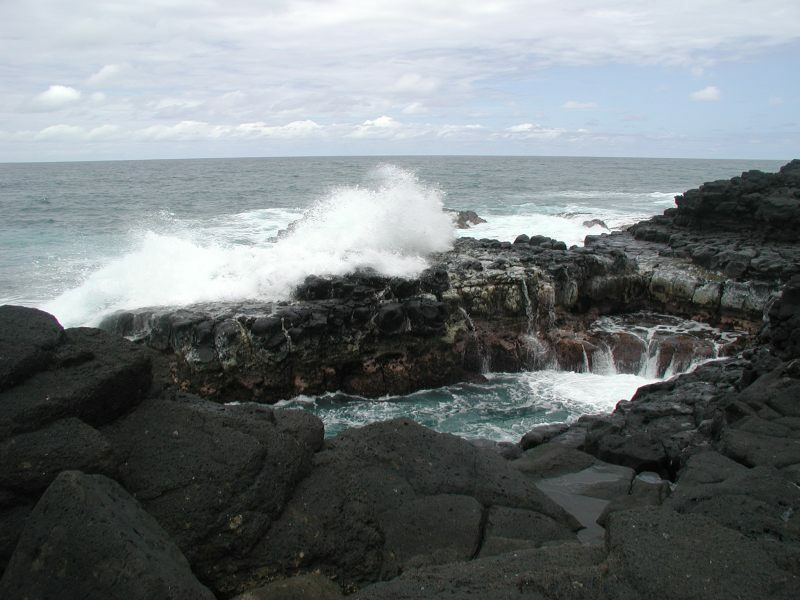 It is located in a long expanse of lava rock along the north shore. I have been there when we were the only folks there and I have been there when we had to wait our turn. The pool is roughly the size of a swimming pool so many people can swim in it at the same time. Be careful when walking out along the lava rock ledges. If the waves are crashing and water is flowing up that high, you may have to just view it from a distance. Conditions can be dangerous at times. 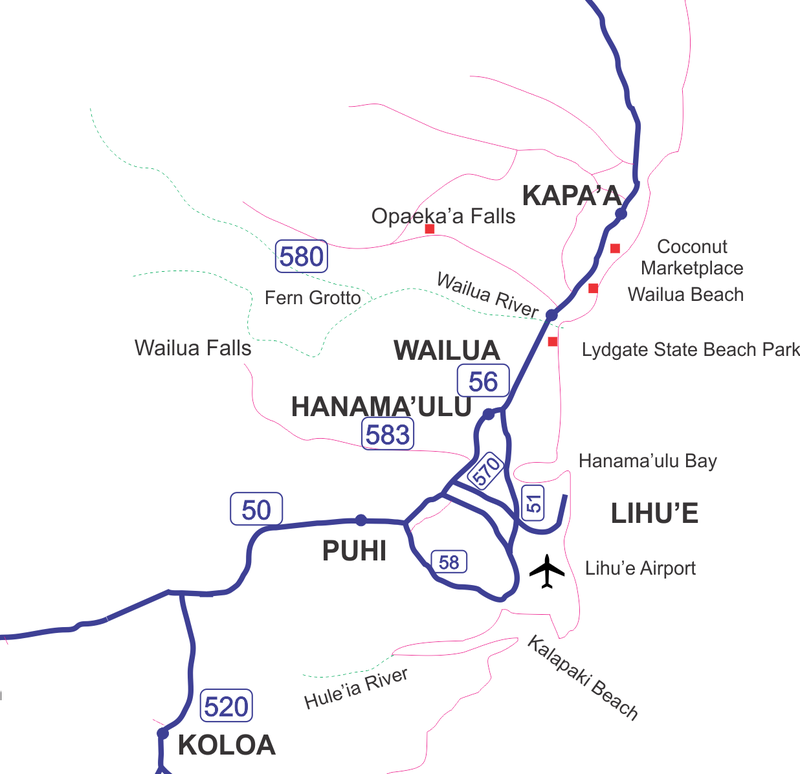 To get to Queen’s bath from Lihue, take Highway 56 (Kuhio highway) to Princeville. Turn right onto Ka Haku Road right before the Princeville Shopping Center. Continue on to Punahele road. Parking can be tight so you may need to circle back on Kapiolani road to find a place to park your car. Snorkeling at Ke’e beach or Tunnels beach or perhaps both. Both Beaches have some of the best snorkeling on the island or you can just lounge if you prefer. Ke’e beach is very easy to locate as it is at the end of the road, Highway 560 that is. It is often referred to as “end of the road beach.” Tunnels beach is a little tougher to find. You can try to turn towards the ocean at mile marker 8.5 along highway 560. If that doesn’t work, you can park at Haena state park and walk over to Tunnels beach. 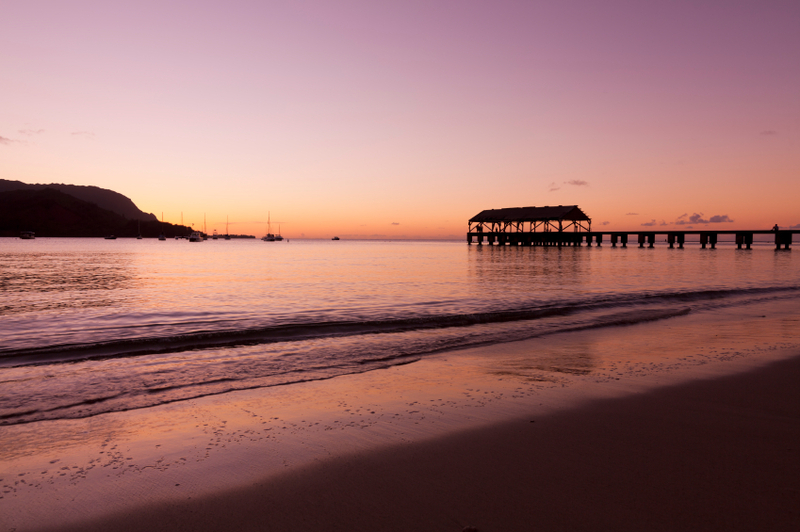 End your day at the Hanalei pier. There are plenty of places to eat around Princeville for dinner. Get to the pier at sundown to witness a killer Kauai sunset. The pier is located at the mouth of the Hanalei river. This should be your day of least driving. Snorkel at Lydate state park. Lydgate state park is a unique beach in that it has a section that is totally protected by a man-made lava rock wall. If you are brand new to snorkeling or just plain don’t like the waves beating you around out in the open ocean, Lydgate is a great option for you. Surprisingly, some pretty big fish are able to make it into that enclosed area. Also, there is a nice beach there for you to rest in between your snorkeling adventures. 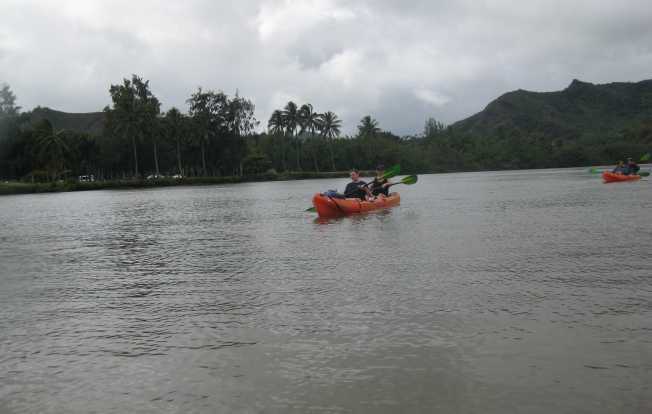 Kayak the Wailua river. The Wailua river is a 20 mile river that flows down the lush scenic Wailua river valley. You only have two options to see the Wailua river valley: by boat or helicopter. Kayaking the river is an entertaining activity and is great for families. I have a family of four so it works out great for us. We get two two-person kayaks for half a day. If its your first time on the Wailua river, you should take a tour to secret falls. If you have been on the river before, you can just rent a kayak for half a day and go wherever you like or follow some other tour group. If you have never kayaked before, don’t worry. It doesn’t take a tremendous amount of skill and the tours usually begin with a quick lesson in kayak handling. ‘Opaeka’a Falls and Wailua Falls. These two waterfalls are very close to each other but unfortunately, the drive is longer than it seems like it should be. It takes about 20 minutes to drive between the two falls. 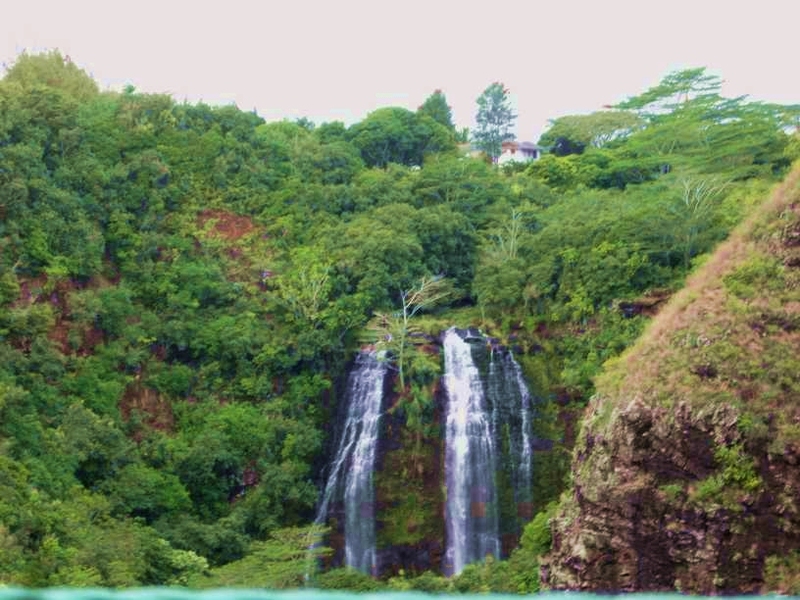 ‘Opaka’a falls can be found up highway 580 and Wialua Falls is up highway 583. One of the coolest aspects of Hawaii is the amazing waterfalls and ‘Opaeka’a and Wailua are two waterfalls that you can experience fairly quickly with little effort-especially if you are staying in Kapa’a or Lihue. Many waterfalls require a hike of some sort. Neither of these do. 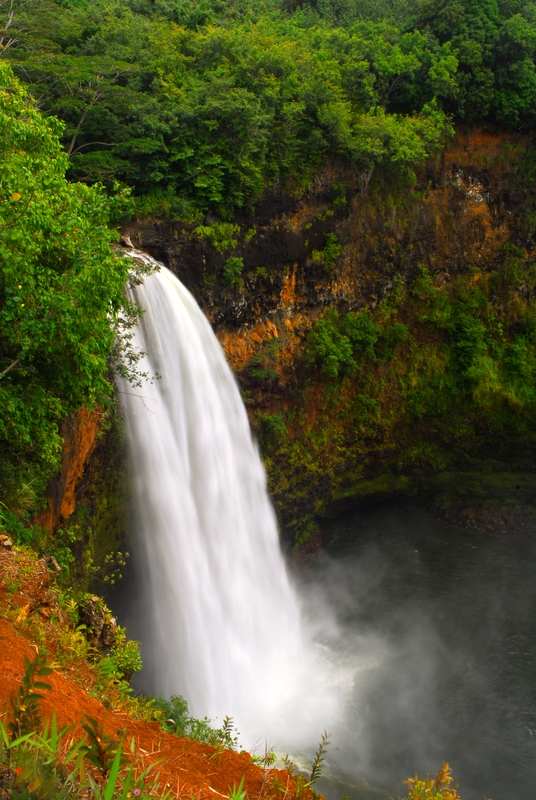 You can find more information here about the waterfalls of Kaui. The Sun sets on the West side of the island so there will be no killer tropical sunsets to witness this day. You can end the day anywhere. Stick with a beach, you can’t go wrong. If those day itineraries are not quite doing it for you, here are a few honorable mentions to consider swapping in. Waimea Canyon. You can visit this while on the south shore. Often called the Grand Canyon of the Pacific, Waimea Canyon is a deep red canyon with waterfalls and Kauai roosters. 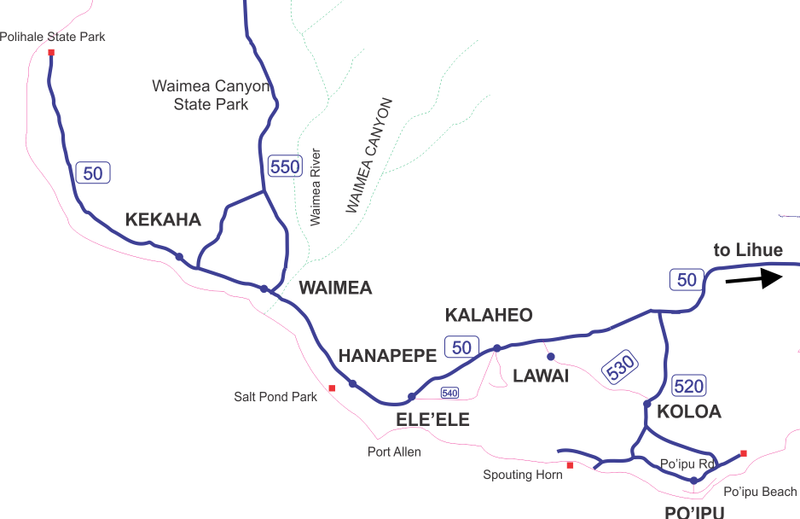 Some great hikes there worth considering are Nualolo cliffs or the Alakai swamp trail. Here is my more detailed write up of Waimea Canyon. Waimea canyon can be very divisive among visitors. Some love the visit while others don’t see it as worth the time required to take it in. I, personally love the place. Those who get car-sick easily may not like the trek up the canyon. You should read reviews from a place like tripadvisor.com to see what fellow visitors have to say. Golfing. Everything is prettier in Hawaii and golf courses are included in that sentiment. If you want to swap in a round of golf, consider Princeville, when up North. On your central region day, visit Wailua golf course or Puakea golf course. On the south shore, you can go to Poipu bay golf course. Spouting Horn. You can visit spouting horn when down near the Poipu region (South shore). Spouting horn is an underground channel in the lava rock that water shoots up through like a geyser when the tides come in. This is another polarizing destination. Some folks enjoy it while others would rather spend their time in a different way. Watch this video of spouting horn at youtube to get an idea of what it entails. Obviously, the height of the water shooting up will depend entirely on the tide. If the tide is out, you won’t get much of a spectacle. So you may want to check the tides before going there. And you may be fine just watching the youtube video and moving on. Fern Grotto. If you want a less strenuous method of seeing the Wailua river, you can take a boat ride up to the Fern Grotto. The Fern grotto is a natural lava-rock cavern, lush with hanging ferns and tropical foliage, cooled by waterfall mists. Fern grotto is a destination enjoyed by many. You can visit this on your Central region day. Okay, so there it is, a world-wind tour of Kauai in just three days. They will be three fairly busy days but days you will remember the rest of your life. Have a great time and be sure and let me know your trip went.